Many have contacted me asking me what Angelic Auric Clearing is. So I have typed this up to explain this simply. I do recommend that you contact me with deeper and more intimate questions. I am happy to answer any questions and would be happy and honored to assist you with your Angelic Auric Clearing just let me know when your ready! If you have been feeling bogged down, drained energetically, depression, or any sense of oppression. Then having an Angelic Auric Clearing will be very empowering and a greatly beneficial experience that will clear out any past debris from throughout your lifetimes. Claiming back your sacred space and aligning fully with the Living Light will create great shifts for you at an energetic level…therefore creating powerful shifts on a physical, mental, and emotional level. The end result is You living in alignment with your highest self, Your God Self. Living fully in the light and allowing the Essence and life force to fully flow through you while supporting you on every level. Body, Mind, and Soul Living in Unity Consciousness. This is a full release from our conditioned behavior of living in fear, shame, guilt and worry…a letting go of the egoic self and all limiting belief systems no longer serving you. 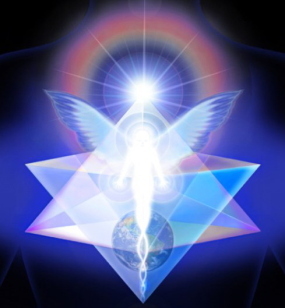 The angels and I work as a powerful team along with many ascended masters and spirit guides. They assist me with this powerful clearing and healing work in miraculous and Life changing ways. During an energy clearing you may feel amazing energy within your mind and body as the angels assist in raising your vibration to a higher dimension. You will feel a deep sense of peace and calm, as the angels clear away all fear and emotional cords attached to others that are no longer serving your highest well being and health. We work in higher dimensional spaces so clients often express that they feel out of their bodies, and as if their bodies were lovingly being held down, while their spirits rise higher. You literally are in a higher dimension, and in essence out of your 3 dimensional body for this healing work. When you return to your physical form at the end of a session, you will return with a greater awareness, healings that manifest at a cellular and subtle body level. And a sense of higher vibrations as if you could soar! ~As you clear all the past debris away that is draining you, you will feel more empowered and connected to your highest purpose and true self. ~You will learn to create healthy boundaries for yourself in all of your relationships. ~You will learn how to call in the angels and your guides to assist you in healing, and firing up your chakras for balance and maintenance of your energy system. ~You will learn how to raise your own vibration and choose your frequency that you emit, rather than have other energies manipulate you. ~You will claim back your power and all soul parts that have splintered away as you clear out unneeded energies and call in your soul parts you’ve lost in traumas throughout lifetimes. The angels and I are here to assist all those ready for this powerful life changing Clearing work. For those ready to end suffering, for everyone who desires a healthy connection with the Divine, for every family that is ready to align their energies for the good of the group in a Holy and Unified way. Please call if you have any questions. This healing work can be offered in person or remotely with permission from your highest self. There are no boundaries of time and space for the angels with this healing work.